This story on five independent labels working together to create autonomous deals with major distributors is from the latest issue of Billboard (June 8, 2013). The book also includes a cover story on J. Cole and the follow-up to his album that “changed the business model;” the publishing hitch in Apple’s iRadio roll-out; a look at the battle for Long Island’s Nassau Coliseum; a report on the progress in LGBT music; and much, much more. Pick up this issue HERE; and become a Billboard subscriber HERE. A union of five independent labels sold to U.S. retail by Warner Music Group’s Alternative Distribution Alliance (ADA) is seeking a physical-only distribution deal that could upset the business model for distributors, according to sources familiar with the plans. 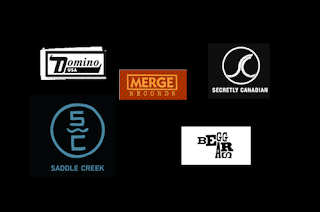 The deal sought by Beggars, Secretly Canadian, Domino, Merge and Saddle Creek goes against the grain of the business model most distributors are increasingly trying to impose on labels: tying physical and digital distribution together. As part of that deal, however, they want to retain the ability to directly sell to indie retailers too. In other words, whomever signs the deal would just sell to Anderson Merchandisers, Target, Trans World, Hastings and other large retailers like Hot Topic, Sam’s Club and Toys “R” Us or large wholesalers like Alliance Entertainment and Super D.
Billboard estimates that the five labels have about $50 million in U.S. volume, of which about $20 million-$24 million is physical billing. Their artists and catalog include Vampire Weekend, Bright Eyes, Bon Iver, Arcade Fire, Queens of the Stone Age, the Buzzcocks, the Cult, Arctic Monkeys, Magnetic Fields, Gary Numan, Bauhaus, Franz Ferdinand and Antony & the Johnsons. While most of the five ADA labels can already do digital distribution on their own and some can also ship to indie retailers, ADA has been seeking to include all digital distribution. The labels’ move is to see if other distributors would be willing to discuss physical-only distribution. Nowadays, all of the major distributors and most indie distributors, whether owned by a major or not, require both physical and digital distribution rights, but indie distributors have been known to bend that rule for a heritage label with an existing digital distribution deal or a large indie label. For example, in addition to Beggars, Secretly Canadian, Saddle Creek and Domino either selling directly to some digital accounts or using U.K.-based indies organization Merlin to cut deals, they also rely on ADA to cut the deals and sell to other digital accounts, sources say. Typically, physical distribution carries a larger percentage, anywhere from 12% to 24%, depending on what marketing services are included, while a digital distribution fee can run between 10% and 12%. The five labels are believed to be seeking a physical distribution deal in the range of the digital distribution deals. Not all distributors demand digital distribution. For example, indie distributor Redeye has benefited because it has been flexible in agreeing to physical-only deals and picked up distribution for a number of labels like Barsuk. Sources say the five ADA labels have approached other distributors like RED, Caroline and Koch in preliminary discussions, but it’s unclear if those discussions have progressed beyond that. In the meantime, the five are said to be negotiating with ADA and Warner about whether their terms will be met. Even though they’re seeking a physical-only deal, ADA has had success in the past in negotiating away that ingredient, and won digital distribution rights too. Beyond the digital distribution component of the negotiations, Warner-owned distributors WEA and ADA have in the past stated they’re seeking a deeper, expanded relationship with indie labels, which would include providing more services to labels, such as radio promotion, online marketing and publicity. All parties mentioned in this story declined to comment or didn’t respond to requests for comment.